Botulinum toxin is produced by clostridium botulinum, a gram-positive anaerobic bacterium which is the most poisonous biological substance known. Botulinum acts as the neurotoxin. It binds to the nerve ending at the point where the nerve joins a muscle and blocks the release of chemical acetylcholine by the nerve, which is the principle neurotransmitter at the neuromuscular junction, preventing the contraction of the muscle. The physicians use Botox in small doses in various treatments such as temporary smoothening of facial wrinkles, cervical dystonia, chronic migraine etc. When a small amount of botulinum toxin is injected into a muscle, it blocks nerve signals that makes the muscle contract. Increases in beauty consciousness and the growing need for enhancing physical appearance is driving the botulinum toxin market. The technological advancements and change in lifestyle compelling people to approach for the modern cosmetic treatments. The growing ageing population and the increasing awareness among the people about the various aesthetic treatment procedures is also enhancing the growth of the botulinum toxin market. The availability of the minimal invasive cosmetic procedures is gaining more attention, which is also driving the growth of the botulinum toxin market. 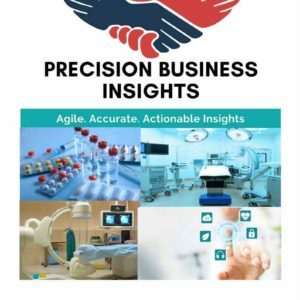 The rising demand for the non-invasive solutions in the cosmetic treatments is also boosting the growth of the global botulinum toxin market. However the high cost involved in the procedure is likely to hamper the growth of the botulinum toxin market. Also the complications post-treatment is hampering the growth of the market. Geographically, global botulinum toxin market is segmented into North America, Europe, Asia Pacific, Latin America, and Middle East and Africa. North America botulinum toxin market driven by increasing demand for anti-ageing treatments. The growing ageing population is driving the growth of the botulinum toxin market in the region. The adoption of the modern treatment techniques in the region is expected to position North America dominant over the forecasted period. In the Asia-Pacific region the growth of the market is projected to show a rapid growth owing to higher demand of the anti-ageing products. The growing awareness among the people regarding beauty aiding the Asia Pacific market revenue growth over the forecasted period. In October 2017, Allergan plc received USFDA approval of BOTOX Cosmetic for its third indication, the temporary improvement in the appearance of moderate to severe forehead lines associated with frontalis muscle activity in adults.